Harder than the astro-navigation exam. Become an expert in Rimmerology with our online quiz. 1. Which of these is NOT a gravestone on Rimmer's psi-moon? 2. How do we know the leader of Rimmerworld is barbaric? 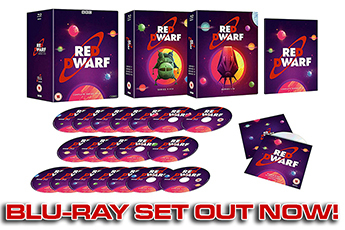 3. Who created the holovirus that drove Rimmer mad? 4. Rimmer has his Risk games committed to memory. What happened in the titanic battle against Caldicott after his opponent threw a 3 and a 2? 5. What about Rimmer's pet lemming caused him to cry? 6. Fresh from Deep Sleep, who did Lister think Rimmer was? 7. 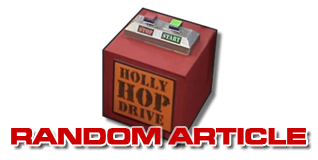 How did Kochanski pronounce 'Rimmer'? 8. 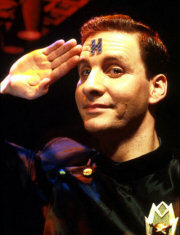 What was Rimmer's nickname at school? 9. Which items are not permitted in an astro-navigation exam? 10. 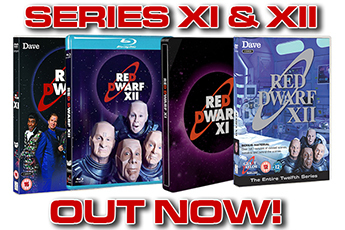 What was the acronym Rimmer gave to his plan for career advancement? 11. What did Rimmer write 400 times on his exam paper? 12. How did Rimmer attempt to ruin Lister's exam? 13. Ace's lunch on Mellie featured which popular topping? 14. Which limb did Ace break when landing to rescue Starbug and its crew? 15. Ace believes that Duane Dibbley is so geeky that? 16. 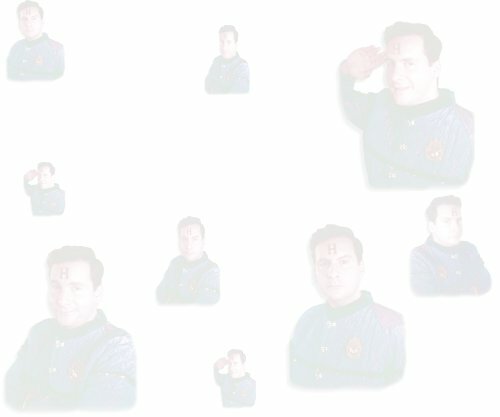 In which dimension did the original Ace Rimmer die at the business end of a neutron tank? 17. Which directive involves a live chicken and a rabbi? 18. What is Space Corps Directive 1742? 19. Which directive insists that all nations attending a conference are allocated only one parking space? 20. What is Article 497?